Research Fellow Dr. Monika Böhm recalls her first public talk for Soapbox Science and why the initiative is so important in bringing science to the people. "So you’re a zoo keeper?" 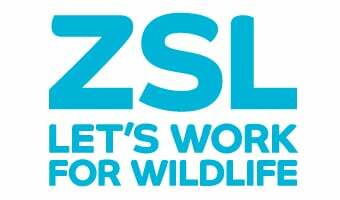 That’s the most common question I get when I explain that I’m a zoologist, or mention that I work at the Zoological Society of London. So what better way to explain once and for all about my work as a scientist, than standing on a soapbox in the middle of London’s hectic Southbank on a busy and sunny Saturday afternoon in May? I wasn’t just going rogue with a soapbox on some self-indulgent solo mission. Instead, every year, women scientists take to the streets at Soapbox Science events across the UK (and the world!). The idea is to talk to interested passers-by about our science and to highlight the immense contribution of women to the field. It’s a unique experience to share what science is all about, that science is for everybody, and to enthuse the next generation of inquisitive minds. So yes, I was all up for standing on a soapbox for an hour – what’s the worst that can happen? So May 2015 came – my plan was to talk about the science behind the IUCN Red List of Threatened Species: how do we use science to assess threatened status of species, and how am I using Red List assessments to monitor the status of lesser-known species such as invertebrates? So far so good – but sadly, invertebrates are (not yet) the glamour models of the animal world. How to attract the attention of passers-by? Well, using a gorilla mask, of course. Each speaker is assigned a volunteer assistant for the day and I decided that there is no better way to thank my wonderful volunteer Jess than by making her wear a gorilla mask in public. Of course, this was for teaching purposes rather than public humiliation (I later donned a cardboard dung beetle hat myself). I started my one-hour on the soapbox with a quick game of humans versus gorillas (mountain gorillas, to be specific), to illustrate the kind of data scientists compile to assess the threatened status of a species: population size, population trend, range size and so on. As you can imagine, gorillas trigger most if not all the different symptoms of high extinction risk, given their small population sizes and dramatic declines. Monni giving her talk "Red Listing LIVE: why some species are more at risk of extinction than others – and why it matters"
We stayed in the realm of vertebrates for a while, and with the audience feeling safe in the knowledge that I will be purely talking charismatic and fluffy vertebrates, I played my trump card… freshwater mussels. If there was some disappointment in the audience, then not for long – because mussels do some seriously cool things. For example, species such as the Lampsilis freshwater mussels of North America require a fish host for part of their life cycle, but how to get your larvae into a fish when you are famously sessile as an adult? By disguising your brood pouch as a small wriggly fish – needless to say, any predatory fish coming along for a quick snack ends up with a mouthful of larvae instead. There are many videos out there on YouTube showing the Lampsilis fish lure – I urge you all to watch them – better than cat videos! Anyway, back to the soapbox. Having managed to gather a bit of a following for freshwater mussels, despite my best efforts, not everybody was as enamoured with our bivalve friends as I was. And so it came to pass that I was “heckled” by a small child of around five years old. “I want to tell you about the great white shark”, the little voice announced. No problem, we were treated to an impressive flurry of facts on these tremendous predators. About to wrestle back control of my “set”, I was immediately interrupted when his little hand shot up in the air again: “Now I want to tell you about the red kite”. More facts followed, this time kite-based. I eventually regained control with a very cheap shot, inviting the little guy to come up on my soapbox. Clearly one step too far for him in public speaking. The moral of the story is that this is precisely what Soapbox Science is all about – the one thing that is better than chatting science informally with an interested crowd is to have kids in the front row asking questions and volunteering facts about their favourite species. Before the event, I said to myself that if I managed to engage with one young mind about the wonders of science and nature, the day will have been a success. And it was it a success - and I hope I managed to engage with minds of all ages, too. On a personal note, my hour on a soapbox was a truly fun and inspiring experience, and excellent training in public engagement. I have since taken part in subsequent Soapbox events as part of the evaluation team, and as official delivery driver of soapboxes. The general public’s response to the event always blows me away – the best moment as evaluator was when I interviewed a dad who had taken his daughter to the event because of her interest in science – they stayed the full three hours, dipping in and out of the various talks. I hope she will keep her interest in science, and maybe one day, she will be a speaker at a Soapbox Science event. And I hope I will still be delivery driver of soapboxes then. Soapbox Science is currently looking for speakers for it’s 42 events around the world. If you’d like to take part, more information and the application form can be found below. Deadline 1st March.